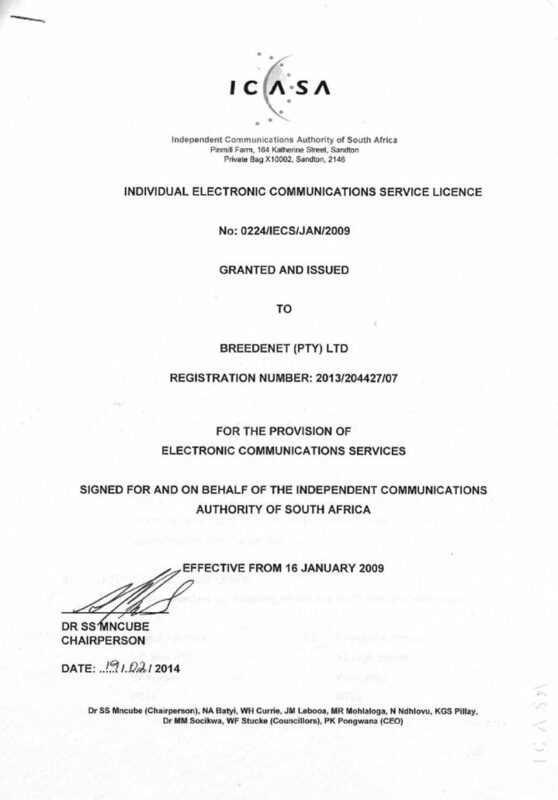 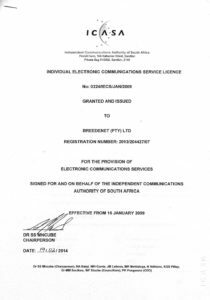 BreedeNet is in possession of the new licenses issued by ICASA (Independent Communication Authority of South Africa). 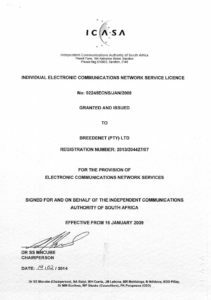 ICASA is the regulator for the South African communications sector, responsible for the regulation of broadcasting, postal and telecommunications services. 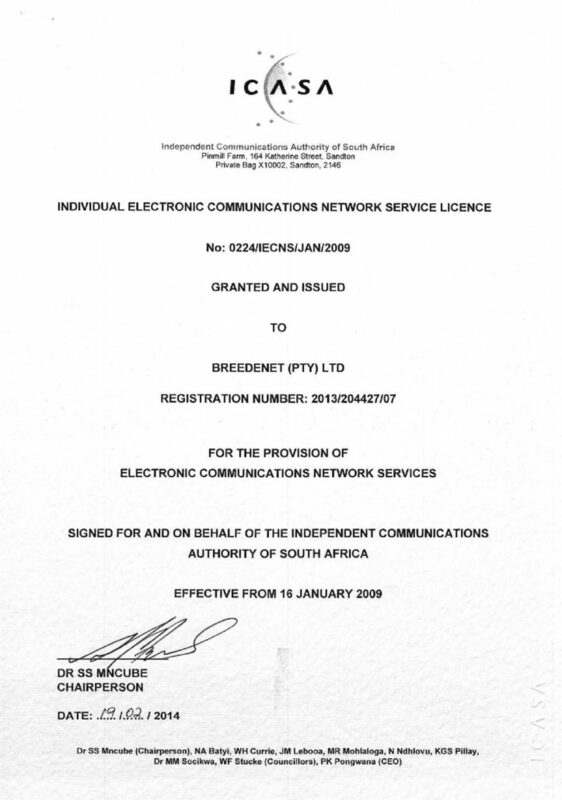 BreedeNet is the ONLY locally based Wireless Internet Service Provider with a license!